Currently, there are no effective drugs to treat this disease, which is also known as amyotrophic lateral sclerosis or ALS, primarily because scientists lack an appropriate cell model of the disease. ALS is an adult-onset neurodegenerative disease, currently affecting some 30,000 Americans according to the ALS Association, whose key feature is malfunction and death of muscle-controlling motor neurons. Patients have a life expectancy of three to five years after initial diagnosis. The cause of ALS is not well-understood, but heredity appears to be a factor in about 5 percent to 10 percent of cases, according to the association. 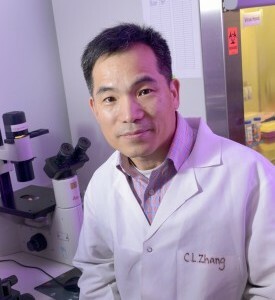 In this study, Dr. Chun-Li Zhang, Associate Professor of Molecular Biology and a W.W. Caruth, Jr. Scholar in Biomedical Research, and Dr. Meng-Lu Liu, a research scientist with Molecular Biology in the Zhang laboratory, established a method to directly convert human skin cells called fibroblasts into motor neurons without passing through a stem cell stage. When fibroblasts from ALS patients are used, the resulting motor neurons keep age- and disease-relevant characteristics, making them a cell model for understanding ALS and for the screening of potential therapeutic drugs. Recently, patient-relevant motor neurons derived from embryonic stem cell-like cells have emerged as cell models, but these cells are reset to an embryonic stage during the process and are thus are not good models of adult-onset neurodegenerative disease. For this reason, it is important to use aged neurons (resembling those found in adult human patients) for disease modeling and drug discovery. The direct conversion approach used by Dr. Zhang’s research team that does not involve going through an embryonic stem cell-like state is believed to be a first in medical research for modeling ALS. Researchers achieved this find by using several master regulators and extrinsic signaling molecules that modulate cell fate determination to directly convert adult skin cells to motor neurons, Dr. Zhang said. Motor neurons derived from healthy patients are able to control muscle tissue contraction in a dish, but motor neurons from ALS patients exhibit severe survival and electrical deficits, and are unable to do so. Also contributing to the study was Dr. Tong Zang, Assistant Instructor of Molecular Biology. All three researchers are members of UT Southwestern’s Hamon Center for Regenerative Science and Medicine, which was made possible by a $10 million endowment gift from the Hamon Charitable Foundation. The Center’s goal is to understand the basic mechanisms for tissue and organ formation, and then to use that knowledge to regenerate, repair, and replace tissues damaged by aging and injury. 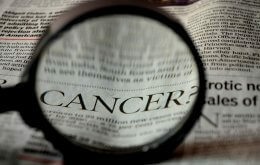 The research is supported by the Decherd Foundation, the Ellison Medical Foundation, and the Welch Foundation.